Health Information Exchange (HIE) allows providers to appropriately access and securely share a patient’s vital medical information electronically. The goal of HIE programs is to facilitate secure access to clinical data to provide safe, efficient, effective, equitable, patient-centered care. EMS is an integral part of the health care system – actions taken by EMS providers at the scene and enroute to the hospital affect outcomes, quality of care and patient satisfaction. However, few EMS providers are part of an HIE system. 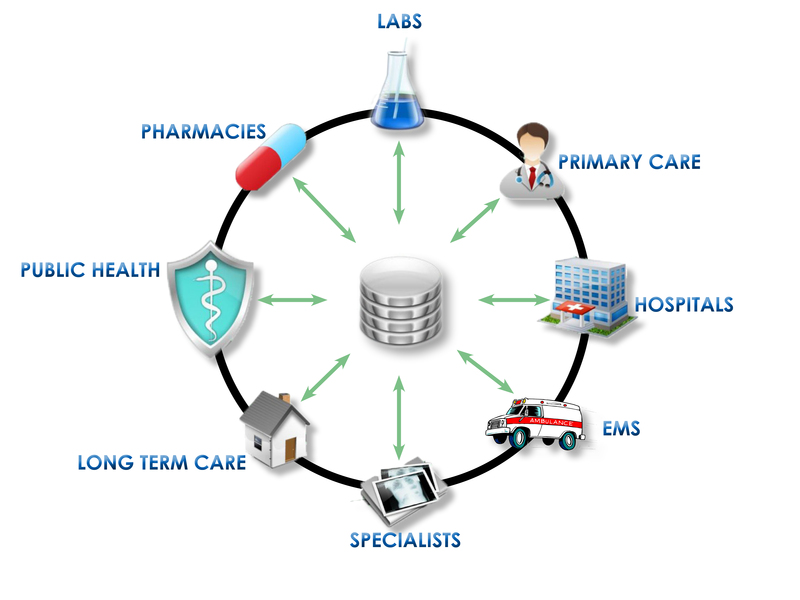 To be most useful, HIE should cover all aspects of the patient care continuum including dispatch, field care, transport, emergency department, hospital admission, hospital discharge, and practitioner care. There are many challenges to sharing health care data, including cost, proprietary systems, and a lack of collaboration that affect all provider types. The Office of the National Coordinator for Health Information Technology (ONC) within the U.S. Department of Health and Human Services is charged with addressing these challenges to move HIE forward nationwide by: providing a common language for data collection and transfer (standards), establishing guidelines for interaction between participants (policies), and supporting the creation of a path for merging patient records from various providers into one EHR for that patient and making that information both secure and accessible as needed (technology). Together, EMSA and ONC are working to support providers, health information organizations, vendors, and local EMS agencies in California in creating the infrastructure necessary for secure two-way exchange between EMS and other health care providers, facilities and payers. It’s our expectation that EMS will become a full participant in the electronic exchange of health information in the near term.